These Rustic Aviation Signs are printed reproductions taken from hand painted originals which are then applied directly to distressed wood panels giving them an antique appearance. 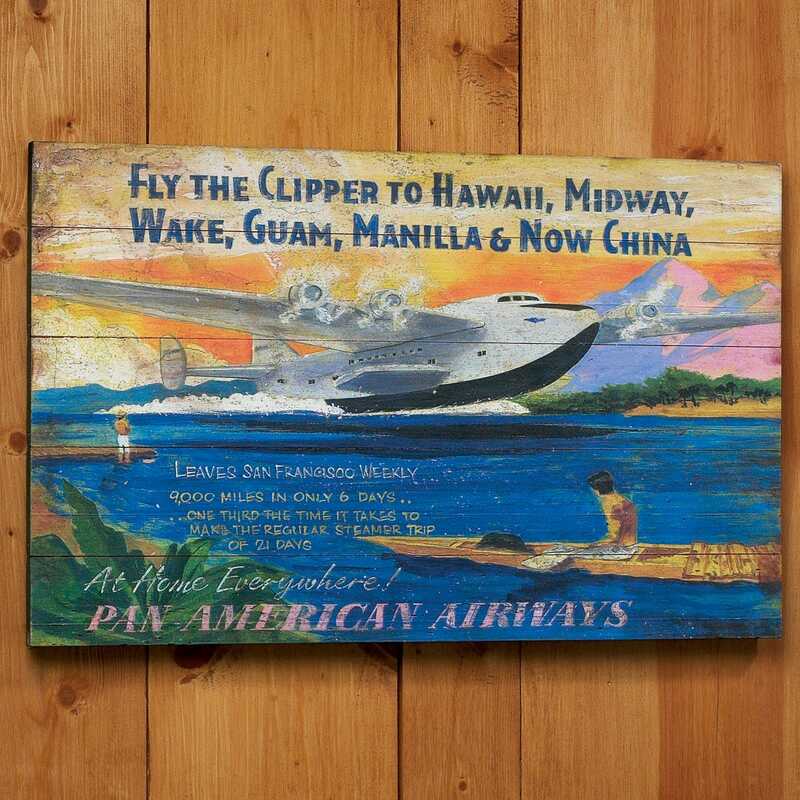 The Fly Clipper sign shows a Clipper landing on water with a Hawaiian theme background. It measures 14”h x 22”w.